Genesis is the framework (referred to as a 'parent theme') for your site. A child theme (your Imagely themes) sits on top of that framework and handles all the design and layout aspects of your website. Let's think about your site as a house. WordPress acts as the foundation of your website, keeps everything together and 'houses' your framework, design, and functionality. Genesis (the framework) is the frame and body of your house, and is the basic design, security, and SEO foundation of your website. In handling all the core code, Genesis also helps to “future-proof” your site, so all your customizations won’t disappear when it comes time for your one-click software upgrades. Do I need to buy Genesis? 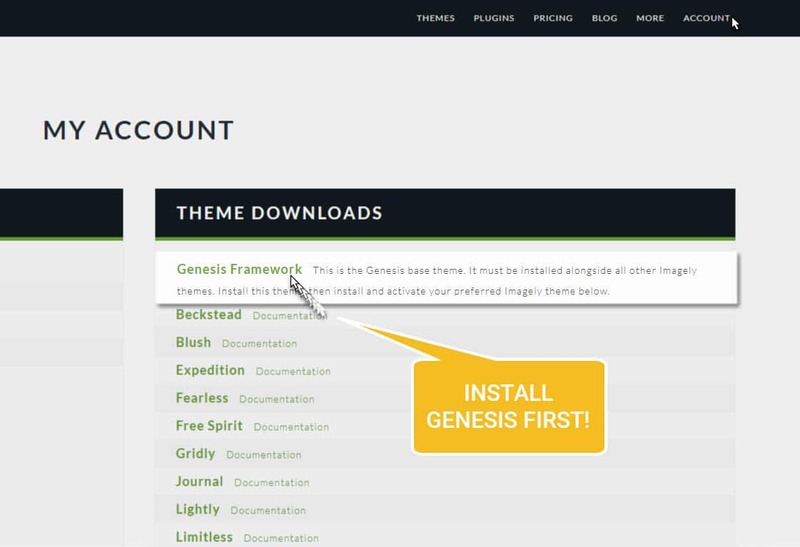 Step One: Download Genesis Framework from your member account. Step Four: Follow steps to install Imagely [child] theme. The Genesis Theme Settings allow you to configure the settings for features like the content archives and default theme layout. 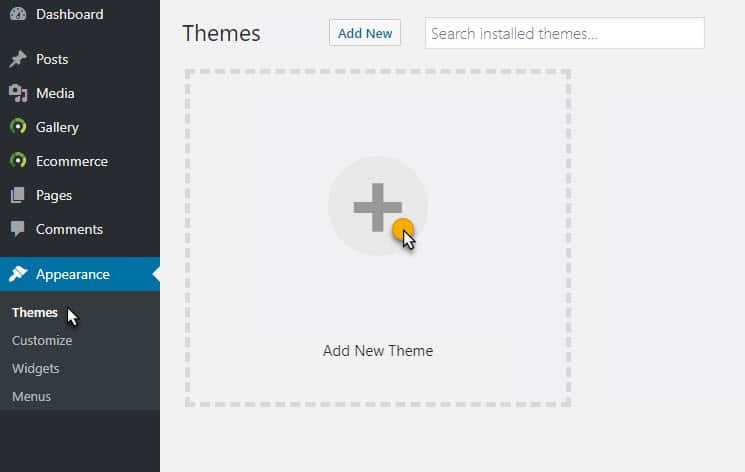 To access the theme settings, navigate to Genesis > Theme Settings in your WordPress admin. The Genesis Theme settings screen consists of a number of Genesis Specific options. Information – Displays information and update notification options for the Genesis Framework. Custom Feeds – Allows you to redirect your RSS feed URLs if you’re using a feed delivery service. 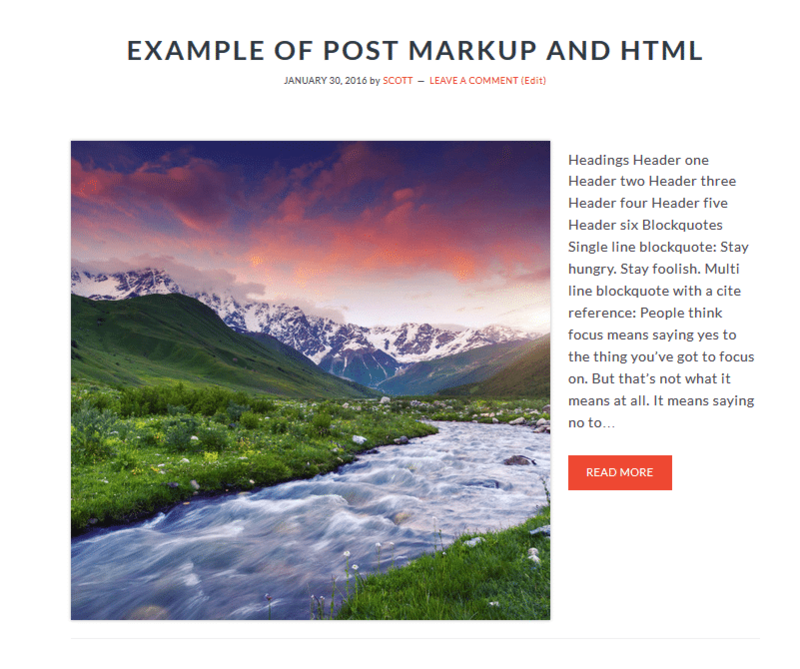 Default Layout – Determines site-wide layout for posts, pages, and archive views. Depending on the theme you're using, it may override this setting for the home page and alternative settings can be used on a per page, post, or archive basis. Breadcrumbs – Breadcrumbs can be configured to display on different content types to guide visitors back, incrementally, to your home page. 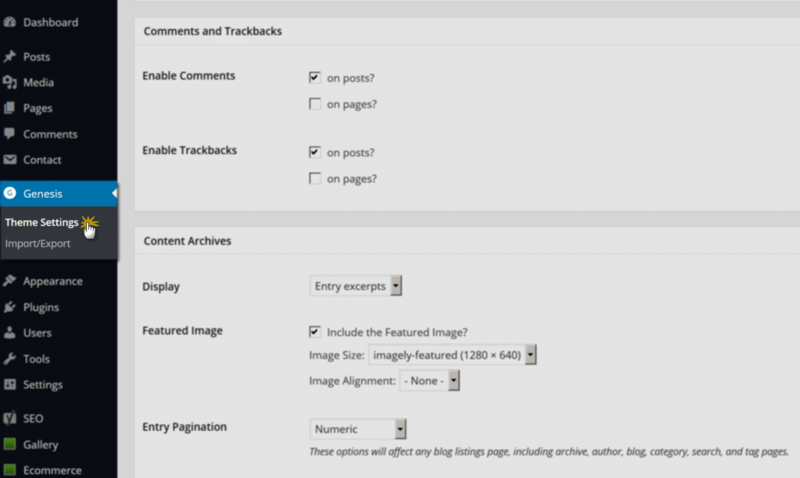 Comments and Trackbacks – Comments and Trackbacks can be completely disabled for Posts or Pages. Existing Comments and Trackbacks will continue to display. These are global settings and cannot be overridden at the post or page level. Content Archives – Controls the display options for Date, Category, Tag, Taxonomy, and Author archive views. This is also where you set the archive featured image settings. Select either imagely-featured (1280x640) or imagely-square (640x640). Install 'Regenerate Thumbnails' plugin and run the tool to generate these Imagely featured images. 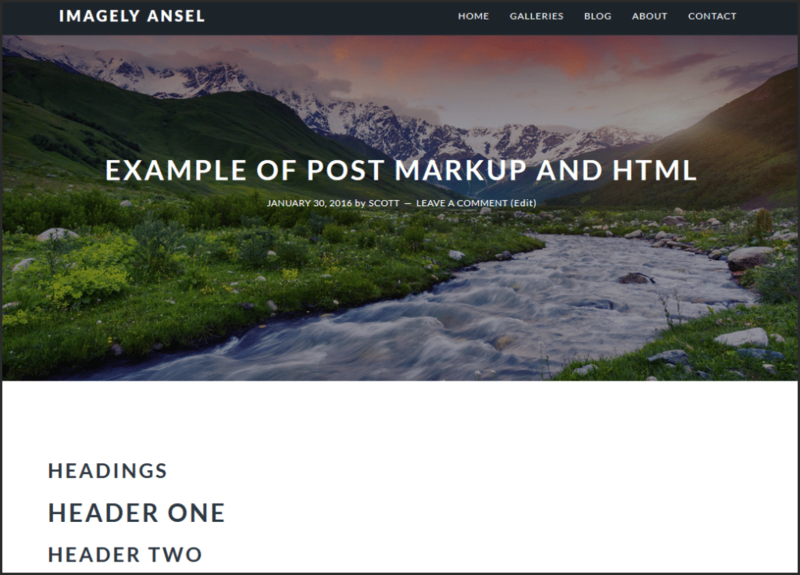 Blog Page Template – Controls the display options for Pages that use the Blog Page Template. 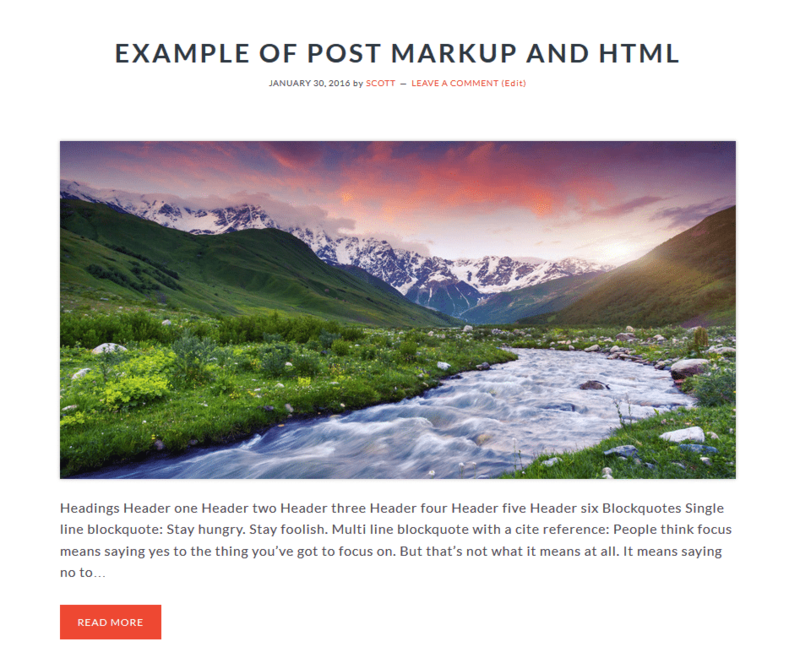 Header and Footer Scripts – Add site-wide scripts to the header or footer of your site. These are often used for statistical tracking scripts from third party services. Featured images are used for blog archive pages. For your Imagely theme you have an option of displaying imagely-featured (1280x640) or imagely-square (640x640). Activate the plugin and then go to Tools > Regen. 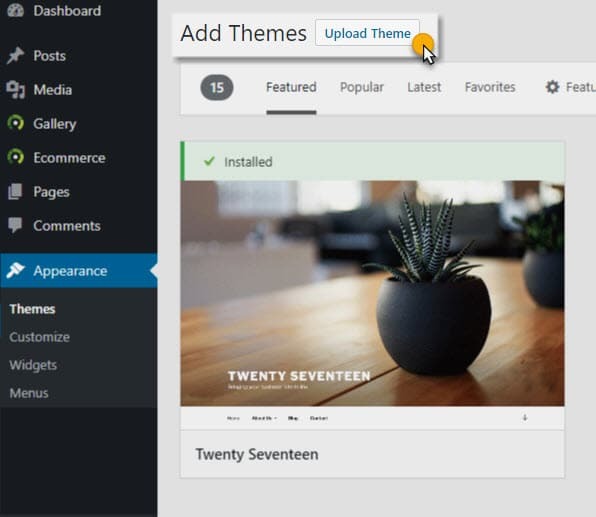 Thumbnails in your WordPress dashboard. 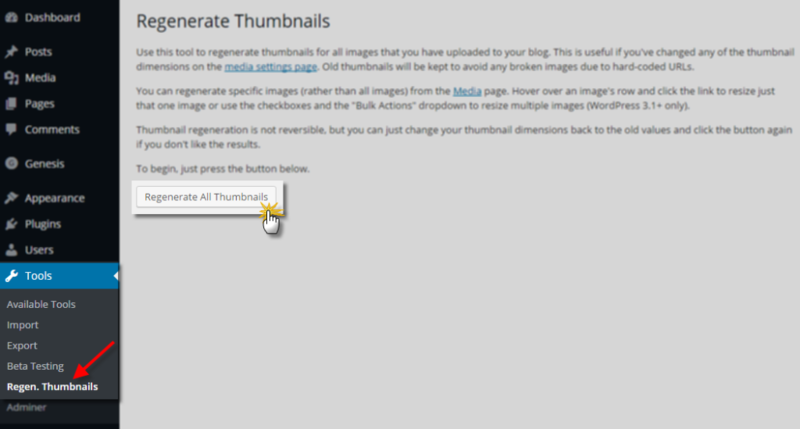 Select the 'Regenerate All Thumbnails' button to run the tool.